Maintaining your own bike has never been so popular, and with the right equipment it can be nearly as satisfying as riding! Do a good job, and you'll rest in the knowledge that your equipment is maintained in tip-top condition, and able to perform at the peak of it's capabilities. By keeping a well-stocked, sensibly tooled out cycle workshop you'll also be ensuring that your bike is safe and reliable, as well as preserving it's lifespan and maximising durability. 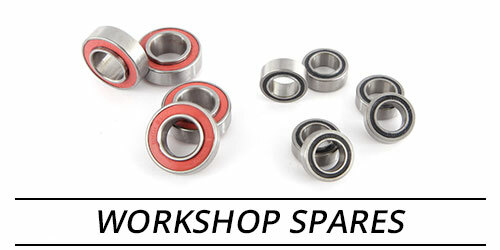 Planet X's workshop department is now huge; it features not just a comprehensive range of high quality tools and mechanical hardware from our own brand Jobsworth, but a massive selection of useful cleaning, lubrication and maintenance products that no bike workshop should be without. Sort It Out! 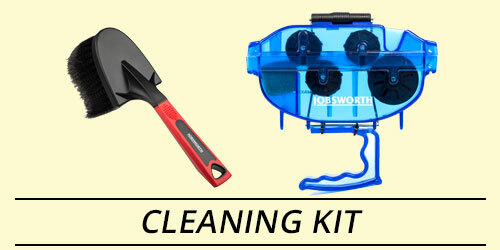 Fix it up and keep it clean with the Jobsworth Sort It Out Stocking filler Bundle. 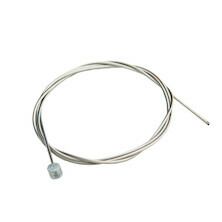 The Master Lock Twin Wire No. 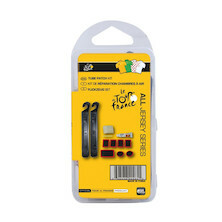 3043DAT features a 10 piece assortment of bungee cords with wire hooks for additional strength. 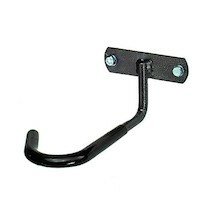 The reverse hook design provides extra room for fastening. 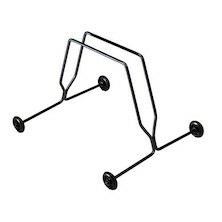 The hooks are rounded for prevention against scratching. 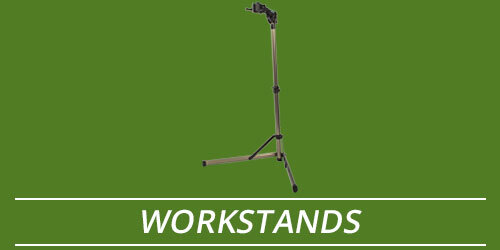 A frame, with built in handle, is included for convenient storage, organization, and transportation. 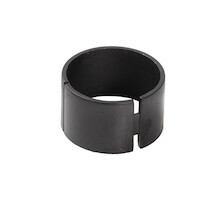 Compatible with Shimano HG & SRAM Cassettes, Shimano Center Lock, or other similar 12-spline 23.4mm lockrings. Equipped with fixed-gear lockring wrench. The Diversity 17 has, as its name suggests, 17 features packed into its small lightweight body. Apart from the CO2 valve head, it also offers the rider solutions for tightening bolts, breaking chains, and changing tubes. 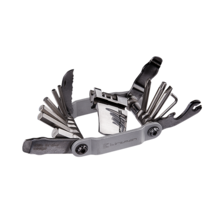 A simple, unobtrusive multitool that is hard-wearing and constructed to get you back in the saddle quickly. An all-in-one solution and a perfect companion for bikepacking. 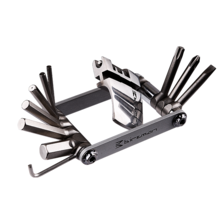 All Birzman multi-tools are forged and CNC machined. 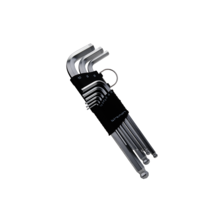 The Hex Key Set is fitted in an ergonomic double-layer holder, providing comfortable grip, and clear identification of the dimensions. 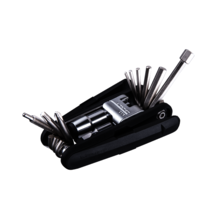 The Torx Key Set is fitted in an ergonomic double-layer holder, providing comfortable grip, and clear identification of the dimensions. 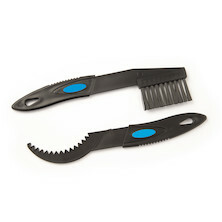 The wrenches can be driven out with an easy rotation, while the blocking mechanism inside the holder keeps the wrenches from accidental slip-outs. Features hollowed heads for inner pin adjustment. 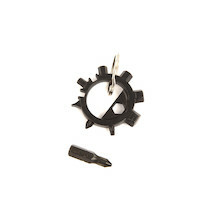 The innovative spring steel automatically binds with the chain, making it easy to drive the pin out accurately and easily. 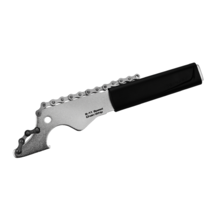 Features a 5mm hex hole in the center for use with a hex wrench to optimise leverage & control. 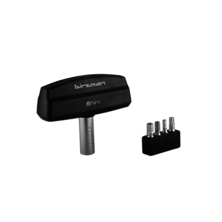 A 5Nm Torque Driver with interchangeable bits. 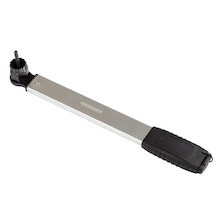 Features an ergonomic handle and a 12 tube. 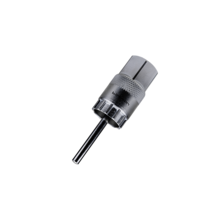 Features an additional air release knob for use on Schrader valves. 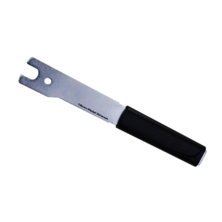 Double ended 15mm pedal spanner from Japanese tooling specialists Hozan. 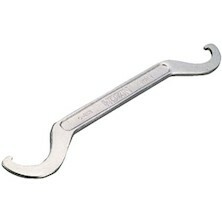 Bottom bracket and headset lock ring wrench from Japanese tool meisters Hozan. Cam action spoke cutter from Japanese toolmeisters Hozan. 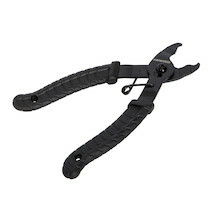 Brake and gear inner and outer cable cutter from Japanese toolmesiters Hozan. 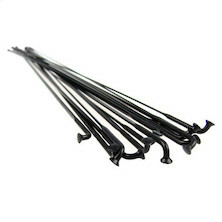 REDANT Precision frame Protectors have been specially designed to protect your frame whatever finish they have. 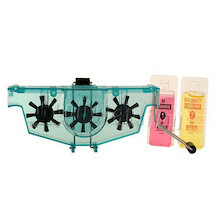 The unique formula helps repel water and prevent dirt adhesion between washes. 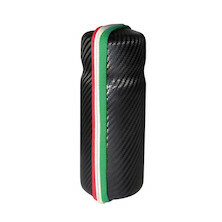 Specialist carbon fibre bicycle frame all over surface protection technology that lasts for up to 4 weeks. 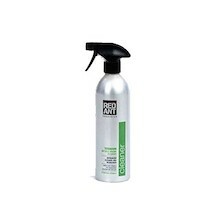 REDANT Precision Titanium Bicycle Frame Cleaner is a dedicated frame friendly fast, effective and safe all over carbon fibre, Titanium and Matt finish bike cleaner. 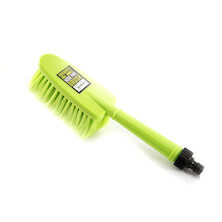 The specially designed PH Neutral formulation is effective at cleaning heavy dirt whilst protecting your frame and other surfaces. 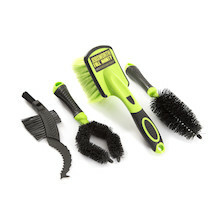 Unique frame dirt release and degreasing technology for each material/finish New biodegradable precision cleaning technology. 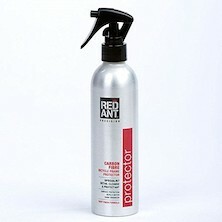 REDANT Titanium Bicycle Frame Protectors unique formula will protect and add shine with gloss enhancer technology. Top Features of the Red Ant Titanium Bicycle Frame Protector 250ml Specially designed to slow down dirt build up between washes and effectively repel water. 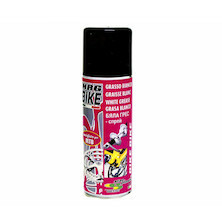 Provides up to 4 weeks all over surface protection technology for titanium bicycle frames. Too many bikes? Space at a premium? 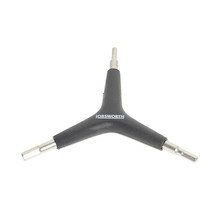 We're here to help with the most cost effective bike storage going, the venerable Jobsworth Wall mounted Bike Hanger. 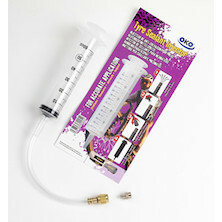 Use exactly the right amount of sealant for your tyres and tubes every time with this easy to use sealant injector. 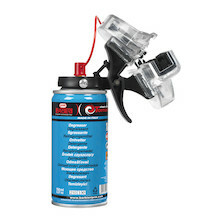 Works with all OKO sealants and Schrader and Presta valves with removable cores. Simple, clean, quick. Thanks to its clever design, the Tankita Tool Bottle might be just the storage unit you have always needed! Strap down all your loose cables and make sure there's nothing slapping around on your bike, or on your car, or in the shed, or in the house. 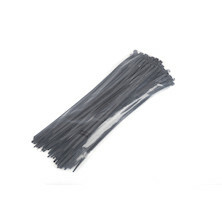 There's a cable tie for every job in the house and we have a selection to chose from. 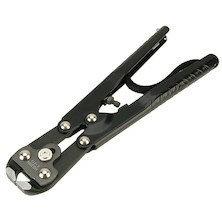 A professional cable cutter perfect for bike shop or home use. 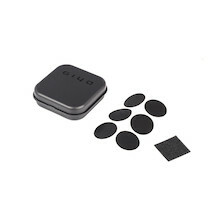 Simple to use and reliable in any conditions, these glueless patches can save you from any puncture-emergency situations. 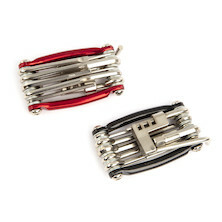 Everything you need in a seriously cheap and good-quality multitool! 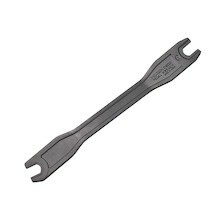 Rockshox/ SRAM T8 Torx wrench. 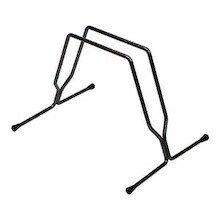 2 rubber supports ensure a good performance and avoid any scratches on the frame. 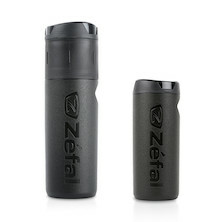 ZEFAL Inflator Kit is a pump attachment kit that includes all the fittings you would need to inflate tyres, rafts, balloons, balls etc. 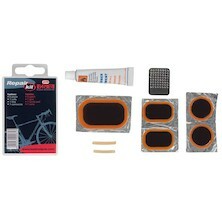 The perfect compact toolkit for every rider who wants to look after their bike. packed with high quality tools and sized to fit on the work bench or under a car seat it's as good as having your own mobile mechanic. 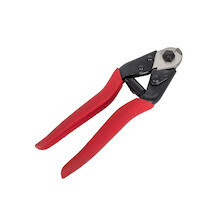 Inner cable tension pliers for pulling through gear and brake cables. It's like having an extra pair of hands. 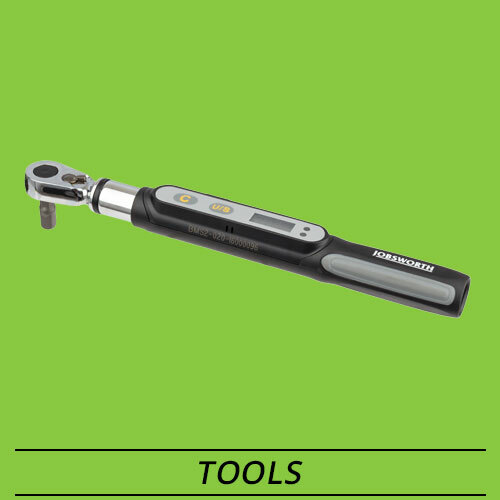 These are top quality professional bike tools that are built to last a lifetime. 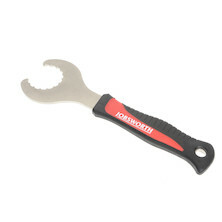 A superb 14mm and 15mm ratchet wrench from Japanese toolmeisters Hozan. These are profesional spec tools built to last a lifetime. 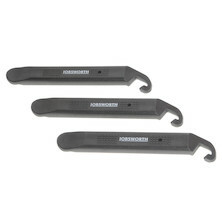 Japanese toolmeisters Hozan refer to these as Head Race Pliers but to everyone else they are better known as the best adjustable headset and bottom bracket lockring wrench that you can buy. 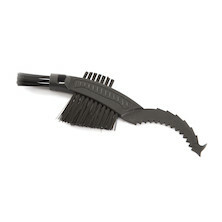 Professional quaity tools designed to last a lifetime. 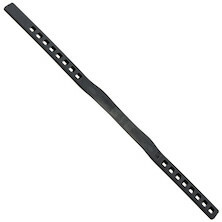 Massively overbuilt open ended 15mm pedal wrench. 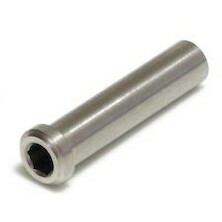 Perfect for use on round-slot pedal axles and hexagonal lock nutted pedals. 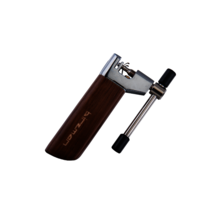 These are built by Jaopanese toolmesiters Hozan and are designed to last a lifetime. 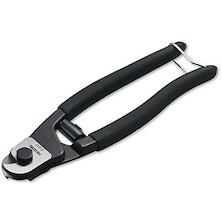 Heavty duty chain rivet pliers from Japanese toolmeisters Hozan. 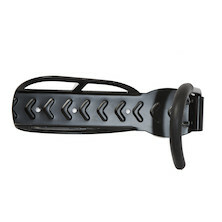 Designed to punch out and repin standard bike chains. Not designed for Shimano HG-IG chains. 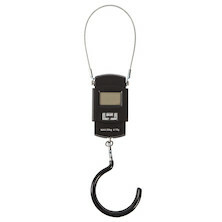 Hozan's universal fit chain tool. 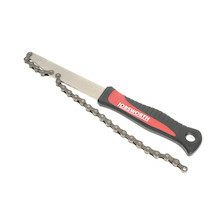 it doesn't get any better than this, any chain size, any pin.A truly universal heavy duty chain tool from Japanese toolmeisters Hozan. 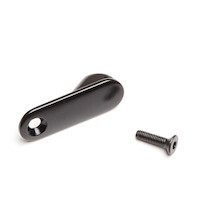 Replacement push pin for the Hozan C-371 Universal chaintool. 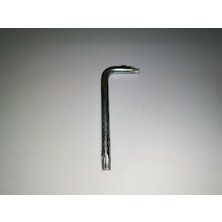 Hardened tool steel pedal thread taps for rethreading damaged or partially stripped crank arms. Professional level bike tools from Japanese toolmeisters Hozan. these are built to last a lifetime. 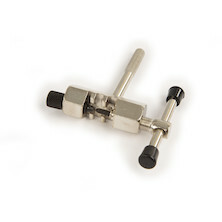 Hozan thru-axis BB tapping tool for simultaneous correction of L and R hand side BB threads. Professional spec tools from Japanese toolmeisters Hozan. 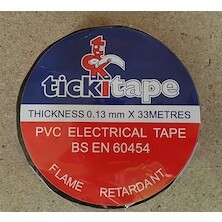 Size BC 1.37 x 24 tpi. 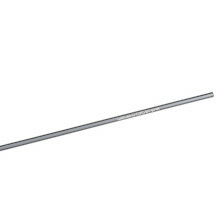 Hozan's C-426/427 is a combination fork steerer thread cutting die and precision wrench set. The Die bodies can be removed and replaced with ease. 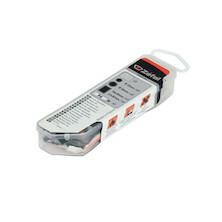 Not compatible with C-421 and C-432 die tools. Hozan's C-435 crown race hammer is an old school design that takes up minimum space and gets the job done. 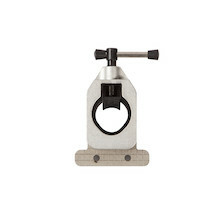 The finest headset press we've ever used comes from Japanese toolmeisters Hozan. 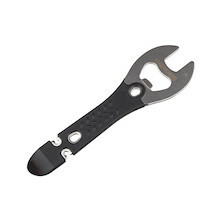 Hub cone wrench spanner set from Hozan that includes two spanners covering 13, 14, 15 and 16mm nut sizes. 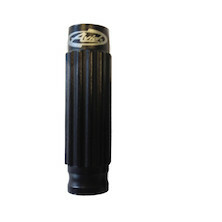 C-504 Hozan Hub cone wrench set. 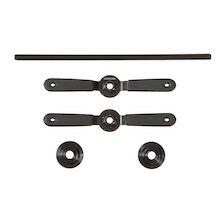 Powder coated soft handles, narrow hard steel blades and precision cut ends. Superb quality heavy duty cast chainwhip from Japanese toolmeisters Hozan. 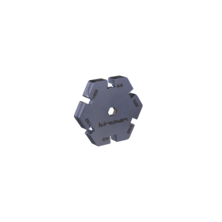 Replacement cutter for Hozan's C-700 rolling-die spoke thread cutter. 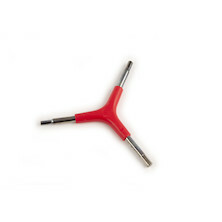 It's simply the best spoke threading tool that we've ever used. C-706, 3 roll cutter for 14/15 gauge spokes. 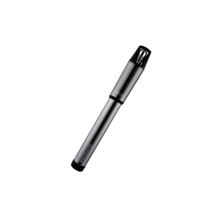 For the busy wheel builder or team mechanic who wants a real tool for removing Schrader valve cores for running tubeless set-ups. 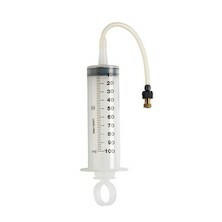 Perfect for tubeless tyre valves. 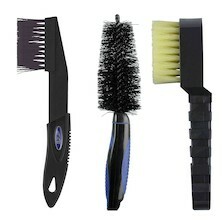 Curved end picks, brass brush and mini chisel tip tools, essential items for framebuilders and bike assemblers. 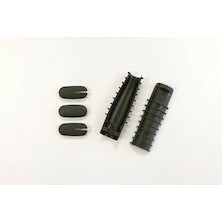 Abrasive coated rubber block for removing rust and corrosion from frames and forks as well as polishing up alloy brake tracks for better braking. Every frame builder and metalworker's dream- a complete set of Hozan metalwork files. Precision cut, hardened steel rasp, double, straight and curve files for every job in the framebuilding book. Every frame builder and metalworker's dream- a complete set of Hozan's small sized metalwork files. 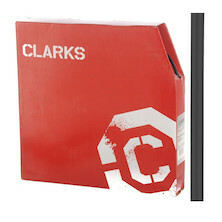 Precision cut, hardened steel rasp, double, straight and curve files for every job in the framebuilding book. 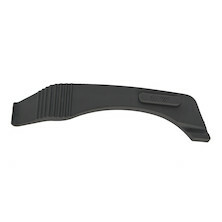 Hozan's professional quality deburing tool is built for smoothing over metal parts that have a ragged edge. 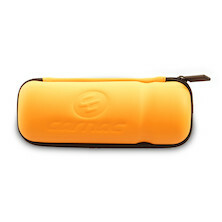 It's perfect for freshly cut steerer tubes, handlebars and anything else where a rag end is unwanted. 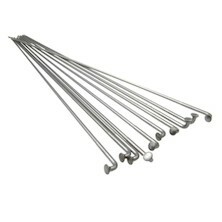 High quality thread cutting tap set from Japanese toolmeisters Hozan. 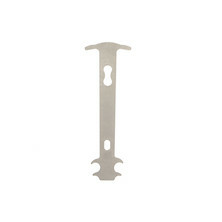 manufactured from cast alloy and tool steel. Conical taper reamer from Japanese tool meisters Hozan. 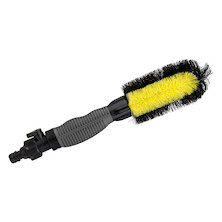 Non-stepped design allows for cleaning and enlarging of holes from 4-32mm. 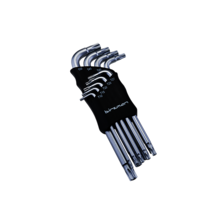 versatile ball end socket set from Hozan, made from top-quality hardened steel with a chrome surface plate. Thee are ultra tough and seriously handy allen keys. Lobular, hex-lobe, hollow TorX, anti-vandal. There's loads of different names for these hard to remove screws. But if you've got the right tool then it's a cinch. 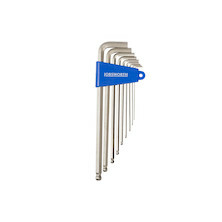 Hozan's professional quality lobular wrench set are exactly what you need. Supremely accurate spiriti level gauge from Japanese toolmeisters Hozan. 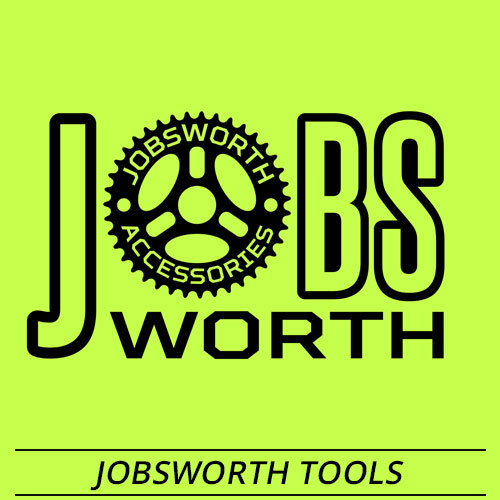 1 litre of fast acting, muck stripping, grime dissolving Spray-On Cycle Cleaner from Jobsworth. 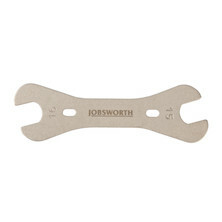 Created and tested in the UK, if you've got a bike service issue Jobsworth has the solution. 400ml of oil eating, grease disolving, muc removing, water displacing Citrus Powered Chain Cleaner from Jobsworth. 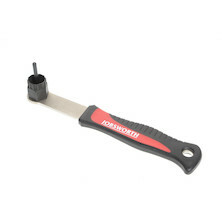 Created and tested in the UK, if you've got a bike service issue Jobsworth has the solution. 1 litre of fast acting, grime dissolving Citrus Power Degreaser from Jobsworth. 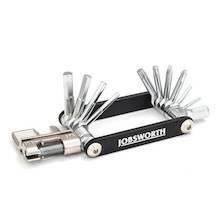 Created and tested in the UK, if you've got a bike service issue Jobsworth has the solution. Spray-on, rub in, rinse off. 400ml of fast acting Disc Brake Cleaner that removes disc pad residue, cleans your pads and rotor and improves your braking. 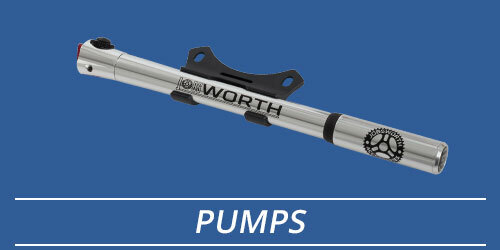 Created and tested in the UK, if you've got a bike service issue Jobsworth has the solution. 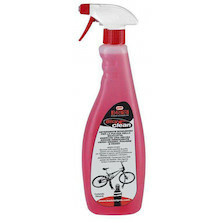 Spray-on foaming bike degreaser, the perfect stage one in any bike deep clean. Fast acting, aerosol propelled disk brake cleaner. 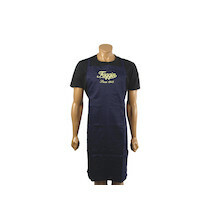 Spray on and wipe off with clean cloth. 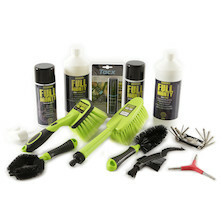 Tornado is a patented and truly revolutionary chain cleaner! Keep your bike clean and ride more whatever the weather! 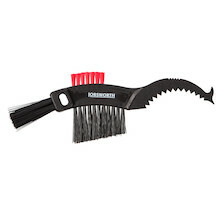 Easy chain cleaning from Barbieri with their patented chain cleaning tool. Clip on, spray and turn your pedals- job done. 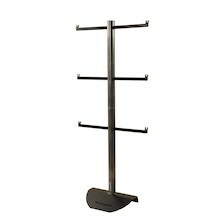 Wheel display stand from Italian brand Bici Support, we use them in our shops, so could you. 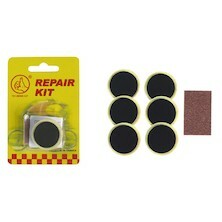 Superior quality wheel display for three pairs of wheels, ideal for bike shops where space is at a premium. 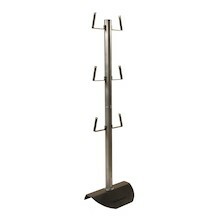 Simple and elegant single wheel stand for storing and displaying bicycles. 12 Pack. 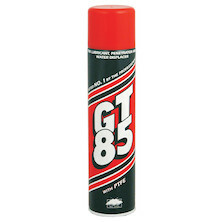 GT85 is a proven and effective penetrating lubricant and water displacer. 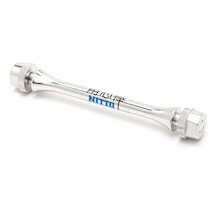 Great for loosening off tight nuts and easing rusty bolts. It's also a brilliant degreaser. 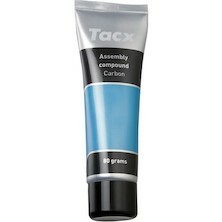 If you're using a carbon stem, bars or seatpost on your new bike then you need to slap some carbon assembly paste between any carbon part and the rest of the bike. Take care of your chain and significantly extend its life with this advanced chain mineral oil. 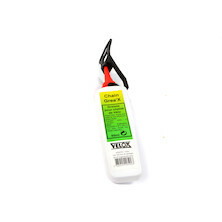 Grab ahold of your carbon bits with Velox's Carbon Paste. 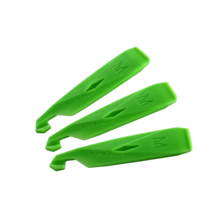 Put it between any carbon parts and the rest of your bike,. Penetrating aerosol Dry-lube in a 200ml can. 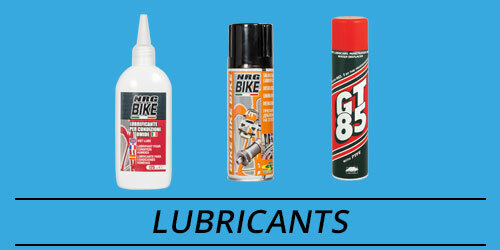 A superb lube for riders who like to take care of their kit. 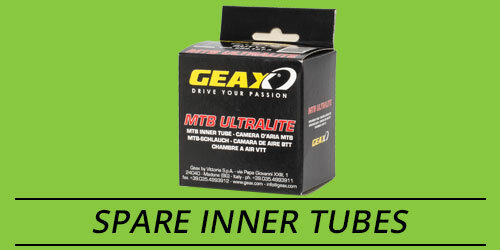 Perfect for a winter on the road bike or summer riding on the MTB. 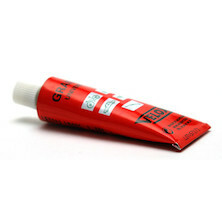 High quality grease perfect for headset and BB bearings, hubs, pedals, threads etc in a handy small tube and workshop tub sizes. 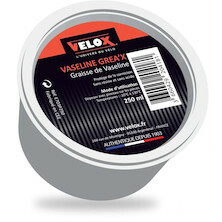 Handy tube sized pack of general purpose grease from Velox. Great emergency grease for that travel toolkit. 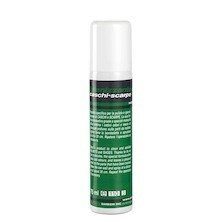 High tack, ultra white titanium grease specially formulated for using with titanium components to prevent galling. 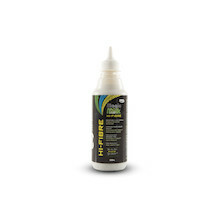 This product will repel water from your chain and other drivetrain components and also leave a glossy shining effect making your bike look like new! 400ml of nut loosening, cable lubing, squeek eliminating, water displacing PTFE fortified spray lube from Jobsworth. 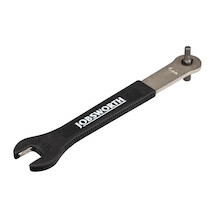 Created and tested in the UK, if you've got a bike service issue Jobsworth has the solution. 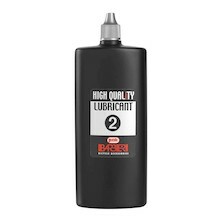 Barbieri don't buy into the wet/dry chain lube dichotomy, they believe good lube is good lube. Drip on, rotate chain, leave to soak then wipe the excess off. 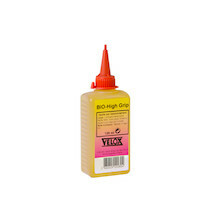 Highly effective chain lube created on a high purity mineral oil base. 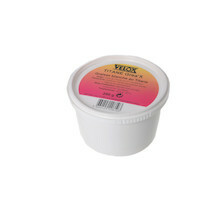 Perfect for wet and dry use with frequent application. Low build-up formula. Fast acting penetrating spray, unlocks stiff nuts and bound parts. Try a psray of this before you resort the hammer or vice! 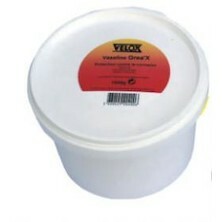 Lithium ester grease is well known for its anti-gallign properties. 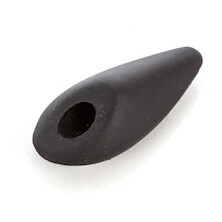 perfect for putting between metal to metal contacts. 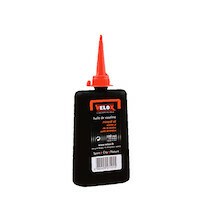 Tacx Mitram Chain Lubricant spreader with dynamic chain lube. 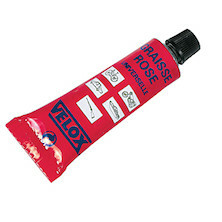 A special deep penetration grease with superlative lubricating powers. 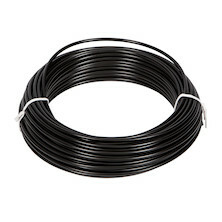 this ultra fine product will penetrate the most inaccessible areas. 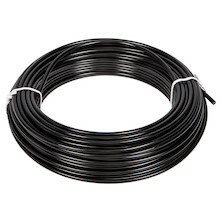 Soft rubber Reverb Hose guide for the DeeDar frame. Protect your frame and cables at the same time, and keep eveything niceand quiet. 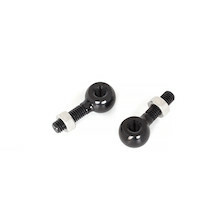 Through hole brake bolt for frame mounting of front or rear brake calipers. 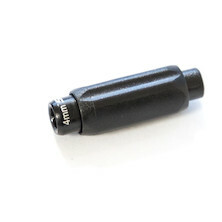 Single inline gear cabler adjusters from SRAM. 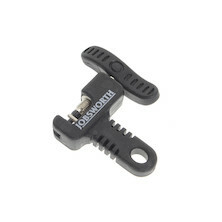 perfect for TT bikes and any other bike that doesn't have external cable guides where you can fit a normal adjuster. Shimano fixing band for the SM-EW90 junction kit. 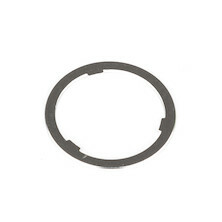 This genuine Shimano replacement part requires an additional fixing clip for installation. Inline barrel adjuster, designed for bikes which don't have frame mounted adjusters to trim the front mech. 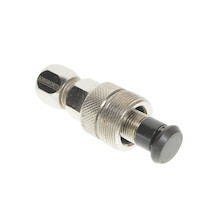 Shimano freehub pattern cassette adaptor. 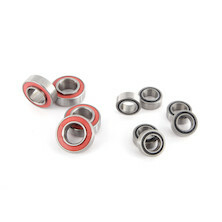 Lets you fit 8, 9, or 10-speed cassette to any 11-speed shimano freehub body. 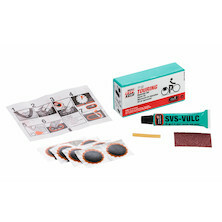 Forget about punctures and just ride with Magic Milk tubeless tyre sealant. Fewer punctures, better air retention, lower rolling resistance and more grip. Going tubeless is a revelation and will improve every ride on your bike and OKO's sealant works just as well with inner tubes and your favourite current tyre. For Road and CX tyres. The ultimate choice of champions! The CX Ray is one of the most advanced, lightweight and strongest spokes available on the market - perfect for any kind of competitive cycling from Road Racing to MTB Downhill! 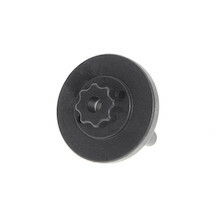 A good quality plastic black front derraileur reducer shim.